Transform your work into art. Another note I wrote down years ago says: “Transform your work into art”. As a floral designer I think transforming your work into art is easy to take literally. I named my business Floral Artistry, I mean, it’s kind of obvious, right? I transform my work (ie my flowers) into art (ie my arrangements). But what I really think drives this idea for me, transforming work into art, is how to apply this concept to the business aspects of our creative business. I try to turn the mundane, the necessary, the client management, the thankless, into art. I practice being artful at running the business-side of my business. The goal to “transform your work into art” can transcend the floral aspect of your business to encompass everything about your business; e-mails, proposals, meetings, phone calls, quotes, contracts, website design, you name it…because every single thing your customers experience defines your brand. I’m going to walk you through exactly what I’ve done over the past 15 years as a small business owner to transform my work into an ideal customer experience in my newest course, The Art of Good Business, which starts January 9th-Feb. 6th. You’ve heard me mention it before, but you can find details on my new course here! Now’s the perfect time to invest in your business and focus on attracting more customers who don’t need convincing…because ideal customers already love you. Registration closes Jan. 7th and payment plans are available until tonight, Monday Dec. 19th at midnight EST. That’s just 1 day left to take advantage of the 2-payment plan option! As a BONUS I am also including a free one-on-one strategy session with the first 10 floralpreneurs who register for the course. Talking with floral designers is a true pleasure for me and I look forward to connecting with 10 floralpreneurs and learning more about your businesses. Will You Join Me Live? Join me on Facebook Live today at noon, EST. The topic is: How to get more rave reviews from your customers. Great customer reviews are an integral part of attracting ideal clients and building your brand. Take a minute and ask to join my facebook group! It’s a great way for us to connect and it’s my new favorite way to talk with floralpreneurs! I’m livestreaming Monday, Dec. 19th at 12:00pm EST. You can watch all of my livestreams on a replay any time in my Facebook group here. I hope to see you LIVE in my group soon! If you’ve asked to join and have not yet been approved you may e-mail me at info@floralartvt.com to help speed things along. If it’s unclear whether you’re a floral designer it does take longer for an approval. Thanks for tuning in and taking the time to read my e-mails. I know your time is valuable and I appreciate you making some time for me! Check out my course offerings HERE for details on all of my courses, including 2 FREE COURSES, Flower Boss and 4 Pricing Mistakes Florists Make. Are you watching your profit margins? Check out Flower Math, The Florist’s Guide To Pricing & Profitability. Click HERE to read all the details and save 10% Off today. Are you ready to make 2017 your most profitable year yet? If so, click here to start today! If you went out of business, would people notice? If I go out of business I want people to notice. As I complete my 15th year in business and look ahead towards 2017 with a wedding calendar that’s booked more quickly than ever before, well, I’m feeling lucky…and grateful…and like I’ve worked really hard to get here. As a solo-business owner, or floralpreneur as I like to say, I struggled for years to find a mission, a purpose, a meaningful impact that I could make in the world. I started my business with a mission statement, as all good companies do, and then I refined that mission over the years, but it always felt hollow or somehow fell flat. It wasn’t as purposeful as Ben & Jerry’s mission statement or other cool companies who use their profitability to make a positive difference. I wanted to “do more”, but with a business as small as mine any donations or attempts to “make giving part of my growth strategy” (one of my favorite, inspired quotes from Danielle LaPorte) seemed insignificant….a drop in the ocean. And in truth, my customers didn’t even seem to care. I always had core values, but I wasn’t communicating them to my clients. I can tell you without a doubt the better I became at communicating my values to my clients, the more my ideal clients started responding. Click to read my Core Values here. I’m going to walk you through exactly what I did to determine these values and attract more of my ideal clients in my course, The Art of Good Business, Find details here! I’ve said it before and I’ll say it again: Growing a business is a journey. It’s not a sprint, not a straight line, and every year is a learning year. Communicating your Core Values can be an integral part of attracting ideal clients and building a reputable brand. If you want to make a bigger impact with your small business, join me in #VowToGive. Here’s how I define my giving: For every wedding I book I donate 165 meals to the Vermont Foodbank. I commit $55 from every wedding sale to the foodbank and in 2015 I provided 4,800 meals through the Vermont Foodbank. #VowToGive is easy to do and it feels good, too. Perhaps you already have a charity or social mission for your business, but if not, now is the perfect time to start! First, choose a local charity or global charity that moves you and fits the core values of your business. Second, define a dollar amount per wedding or amount of time you volunteer or sponsorship you’ll support. Third, follow through! Send the check, show up, volunteer, sponsor and tell your customers about it. You can pick a dollar amount per wedding, per month, or per year to donate to your charity of choice. It’s tax deductible and it’s good for business. 1, 2, 3…choose, define and follow through. Take a minute and ask to join my Facebook group here! It’s a great way for us to connect and it’s my new favorite way to talk with floralpreneurs! What does great customer service feel like? The most important thing I’ve done for my floral design business is work towards perfecting a customer service experience that reflects the values of my brand and speaks directly to the heart of my ideal clients. Want to find better clients? Do you remember the best customer service experience you ever had? A time when YOU were the customer and something stellar happened that made you feel great? Maybe it was an unexpected refund you didn’t even have to ask for, or a hotel staff member who went above and beyond for you….maybe it was the super comfy leather chair in a waiting room that made your wait time a little more enjoyable…or the free refills…or the personal touch…a time when you experienced a better-than-average “result”. How can you make you customers feel special? 2. Write down all the details….what did you expect to happen? How was this experience with this company or brand different/better? 3. Now consider how YOU can translate what was special about your experience into a customer experience for your ideal clients? Tapping into what makes you one-of-a-kind propels your business. Tapping into what your customers need is another meaningful way to speak to your ideal customers. My downloadable pdf, Wedding Workflow, gives you a behind-the-scenes look at my 16 Steps to Client Management from the initial e-mail inquiry to a post-wedding followup. Create a better customer service experience. You can read the details on this downloadable course here including the table of contents with a list of all 16 steps! It’s priced at just $19 and you can CLICK HERE TO GET IT. DOES YOUR IDEAL CUSTOMER READ YOUR BLOG? 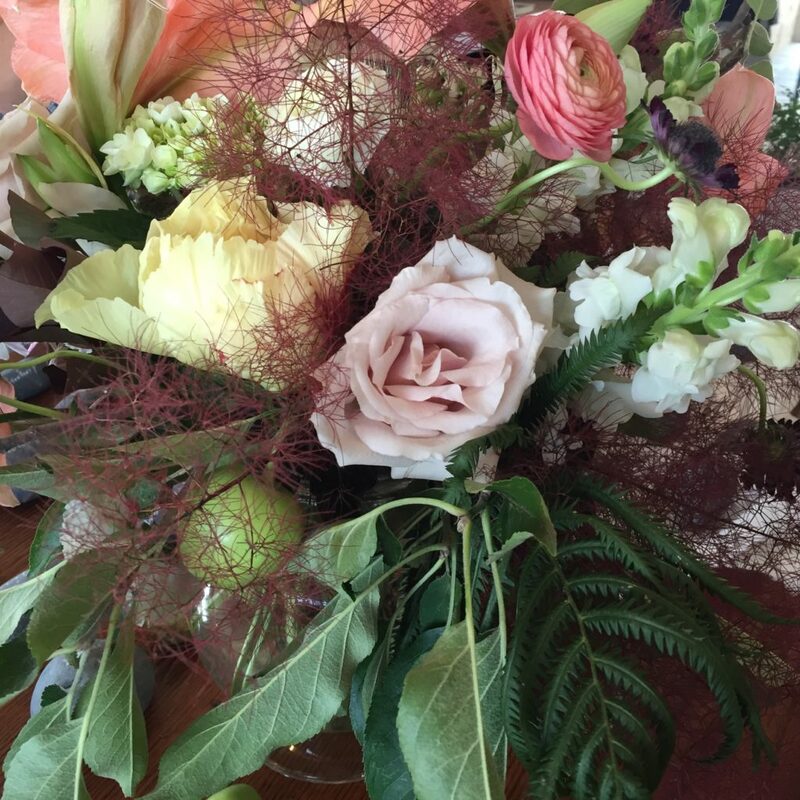 I challenged floralpreneurs to blog every week in November…HOW’D YOU DO? I hope you’ll consider taking this challenge and show your blog some love with 4 fresh posts! Your website is where you really want to talk to your ideal customers. Your website is the only thing you own. I’ve been livestreaming on Facebook. Real Flower Business is the name of the group and it’s a great group of floral pros. Thanks to everyone who’s already joined me! Find a list of my course offerings HERE. P.P.S. Are you still on the fence about Flower Math? Buy it today for 10% off HERE. (Get it before the end of the year and it’s a business expense for 2016.) Keep more of the money you’re already making in 2017! I see people referring to “ideal customers” or “ideal clients” all the time, yet I rarely see it the term clearly defined. But how can you find your ideal customers if you don’t know what you’re looking for? all they need are a few details on how to officially book with you. If you’re ever unsure about who your ideal customer really is, take a look at the customers that already love you–ideally, the ones that you love right back!–and try to identify the important qualities they have in common. Click below to watch my video: Who is your ideal customer? Ideal customers are more interested in finding out what it takes to book with you than how much you charge for a centerpiece. Ideal customers are quick to accept your proposal & sign a contract because they want what you’re selling! Ideal customers feel like you’re the right choice for them; they trust you! Every floralpreneur has her/his own ideal customer depending on where you are in your business. The ideal client for a home-based florist who’s just starting out is different from the ideal client for an established florist with a full-time staff and 25 years of experience. It’s only natural that your ideal clients might change as your business matures. Click for more: How do you prequalify customers? 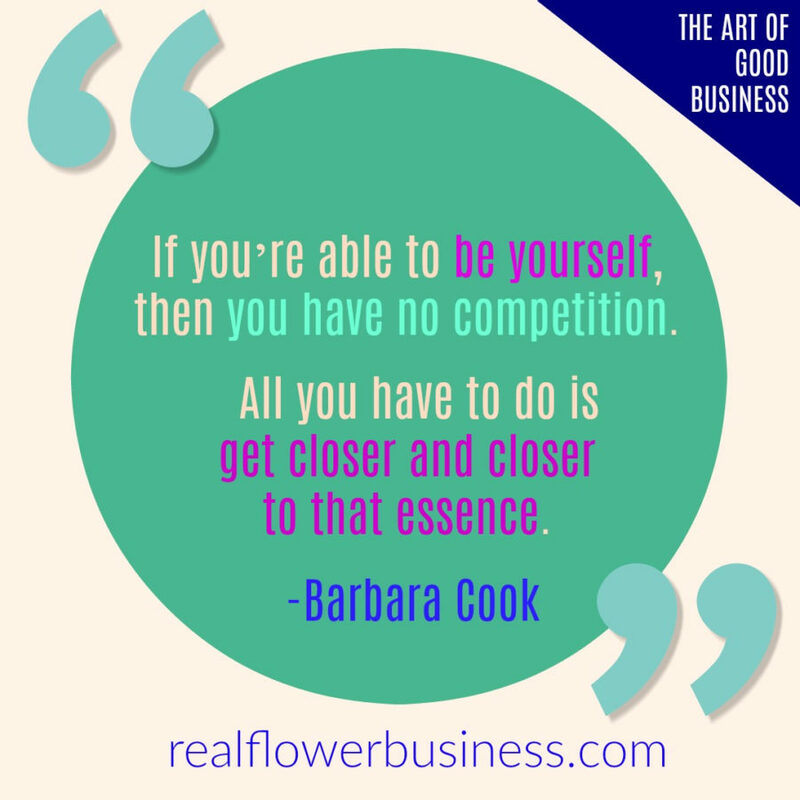 When I started my business, Floral Artistry, in 2002 I’d never heard the term “ideal customer”. As I often recount, “it was a simpler time“… back in the early 2000’s, without the power of Google and social media to help you hone your branding and reach your ideal customers (aka the clients who LOVE what you do). You can gain a lot of clarity when you focus on the people you really want to work with; you’re not looking for just “anyone”. It’s not always easy to define who your ideal customers are and it can be particularly tricky when you have a wedding business where cultivating repeat business isn’t always in the cards. Though the working relationship with a wedding client has a finite end, I strive to exceed expectations and choreograph a customer service experience that thrills and delights. Excellent service provides value and eliminates your competition. Identifying your ideal customers is a critical piece of your branding puzzle. To find a full list of my course offerings click here. What does 1 year in business look like? The past year has been so intensely busy and absolutely rewarding. Did I set out to start a second business? Not exactly. 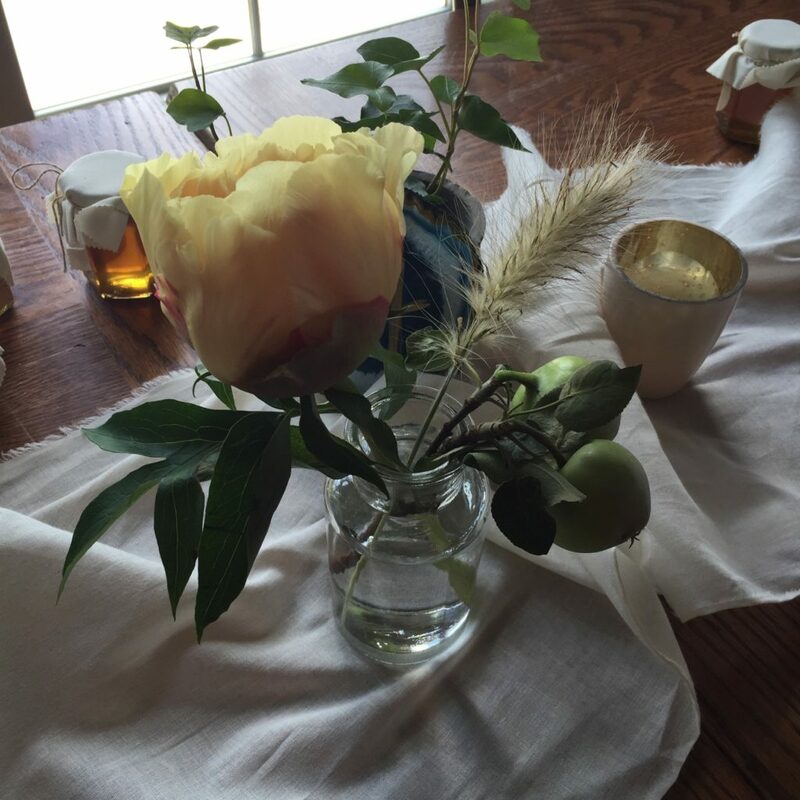 I know a lot more about selling flowers than I know about selling courses… I love the business side of our business. And while I’ve never worked as hard as I have the past 14 months, I am so grateful for the connections I’ve made with florists across the globe. In September 2015 I had the idea to create a pricing course for florists to teach everything I know about pricing and profitability. I spent the next 6 weeks working nearly around the clock to bring the course to life. Flower Math is a pricing “tell all” course that brings you behind the scenes of 3 real weddings with real profits and floral recipes to show floralpreneurs that IT IS POSSIBLE TO HAVE A PROFITABLE FLORAL DESIGN BUSINESS. You can provide value to your clients and turn a profit at the same time! I didn’t have any intentions to create other courses….Flower Math was “my only idea”…and it felt like a big risk to put it out there. It’s a serious look behind the curtain of my biz. After I released Flower Math, a floral designer friend of mine (who also took my course), suggested that I make e-mail templates…and I do love client interactions and customer management!…so in Feb. I released 2 new courses: 12 E-mail Templates for Florists and How To Write Proposals That Sell. Then, in the fall, I released my Wedding Workflow which shares my 16 Steps to Client Management to show you how I’ve learned to step-up my customer service game over the past 15 years as a small business owner. I appreciate every single person who took a leap of faith to purchase one of my courses. The thing that thrills me most is how many florists have returned to buy more than 1 course. That’s the highest compliment. There’s nothing more rewarding than earning trust. It’s crucial to building a brand. My NEWEST COURSE will be LIVE Jan. 9-Feb. 6, The Art Of Good Business is a 5 week course on honing the voice of your brand, finding ideal customers (aka customers that love you!) and choreographing a customer service experience that will wow your ideal clients. My 2017 wedding season booked up more quickly than ever before thanks to the hard work and practice of building my brand. I’m going to walk through this course with you to show you exactly how you can do this hard work, too. Click here to see the course schedule. BONUS: The first 10 people who register for The Art Of Good Business will also get a FREE one on one strategy session (value $249). I’m in a unique position to work through this course with you because I’ve done the work to build my business and I’m also in the process of building a new business which means I’m experiencing new learning curves and lessons just about every week. As I always say, Every year is a learning year! I want floralpreneurs to thrive! Take advantage of free training on my blog and YouTube! I’ve created lots of free educational videos for florists over the years. Click below to watch The Worst Business Advice I Ever Took…I also share the BEST business advice I ever got! Check it out.